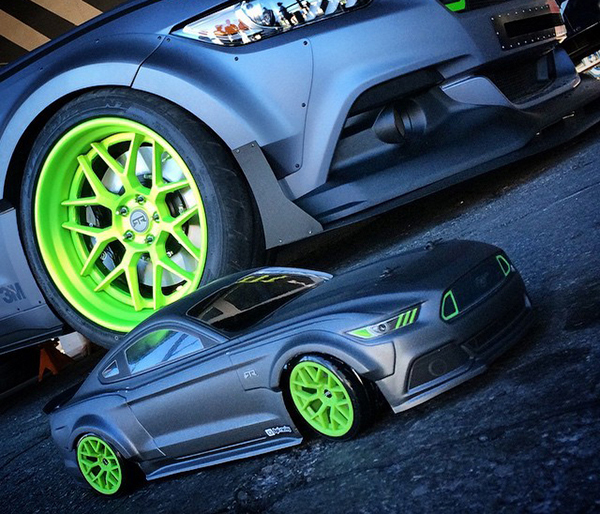 Looks like HPI’s lineup of Vaughn Gittin Jr-flavored models is about to be joined by a customized 2015 Mustang version. 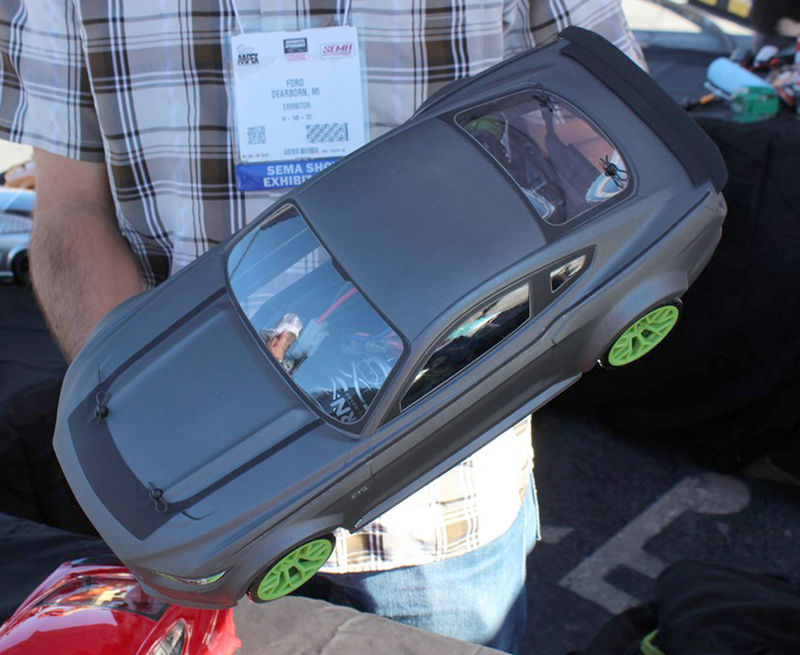 The car was spotted at SEMA, where HPI was demo’ing RC models on behalf of Ford. 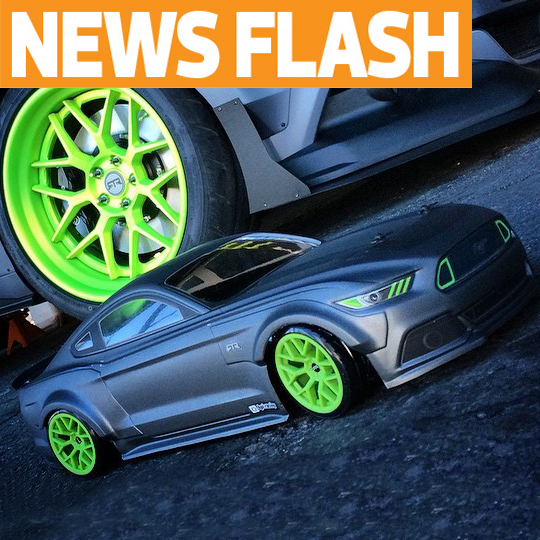 The model is a replica the Mustang RTR Spec 5 Concept car that Ford displayed at the show. Based on our top-view shot (thanks Kev), the car will be offered on the E10 Drift chassis. Based on the view through the windshield, that’s an E10 Drift chassis under the Mustang shell. 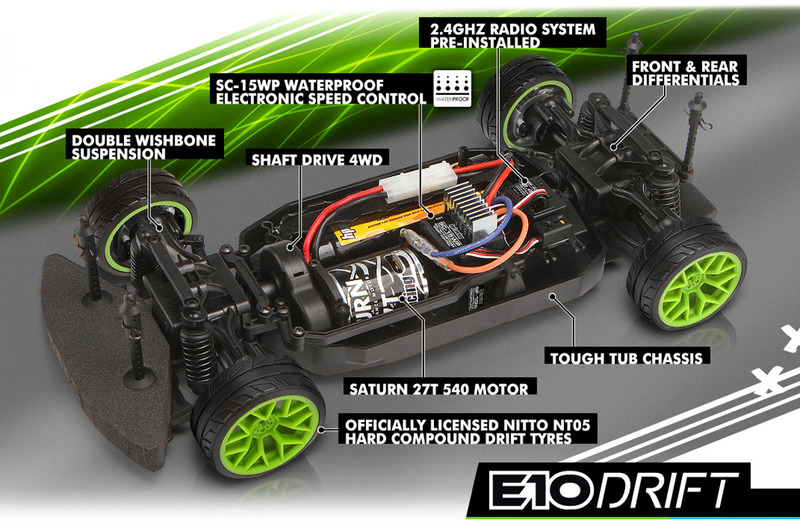 The E10 is HPI’s shaft-driven RTR drifter. The front-mounted motor makes it easy to stay sideways. 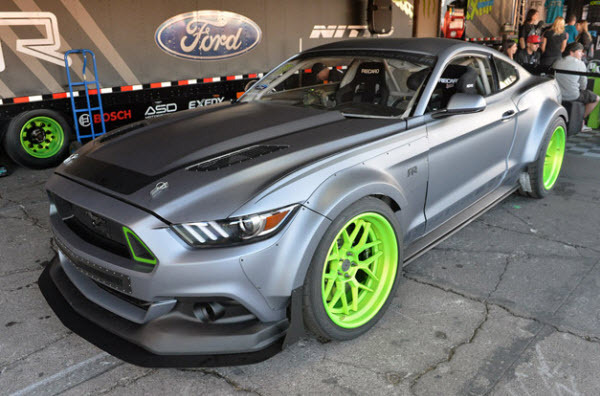 Here’s the full-size version on display at SEMA. Read more about it at Autoblog.